Weight loss is a wonderful thing to experience, especially if you’re a man who has always been heavy set. Whether it’s due to a bariatric surgery or just extreme dieting, men who shed the pounds often are satisfied with the results—but only to a point. 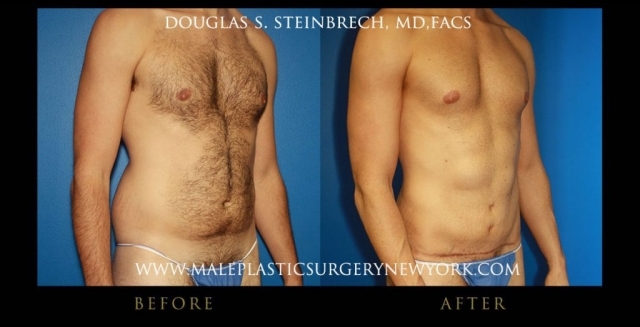 Though weight loss offers excellent health benefits and can help a man become more attractive, extreme weight loss can cause excess skin to remain. This can make a man lose confidence in himself, especially when he’s trying to show off his new physique in a swimsuit or in front of a new lover. 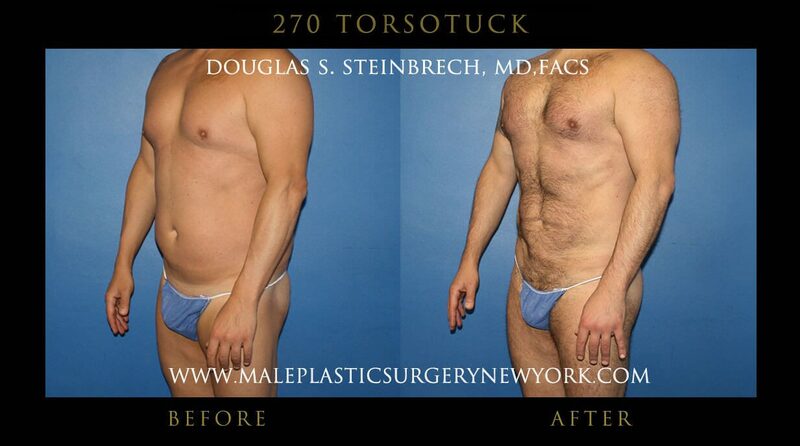 What is the 270 Torso Tuck™ Lift? 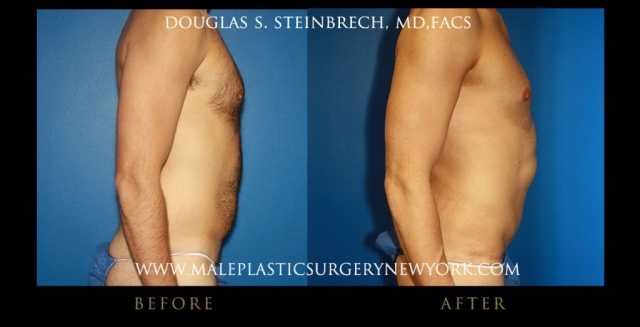 When a man undergoes extreme weight loss, it’s very likely that he will have loose skin that hangs off his torso, thighs, arms, and neck. 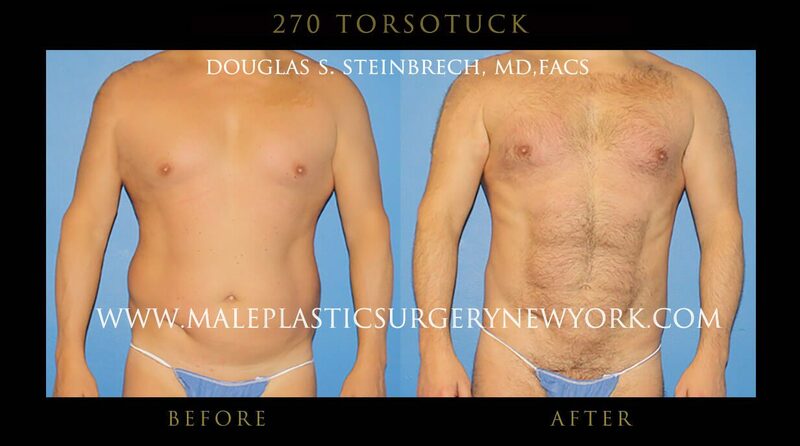 Dr. Steinbrech’s 270 Torso Tuck™ is a specialized cosmetic procedure that removes the excess skin on a man’s body and gives patients a smoother, more natural appearance. What makes the 270 Torso Tuck™ different from other male body lift procedures is that it’s done to provide a natural look from every angle of your body. 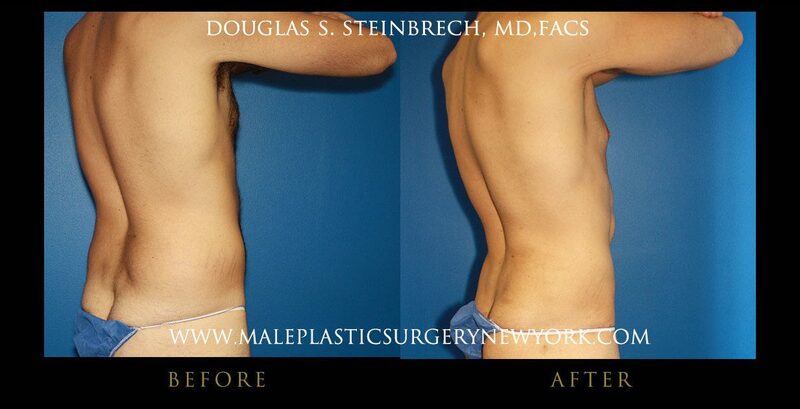 The goal behind this is to give your body a lift with minimal scarring that gives your body a slightly toned appearance, smoothes out any wrinkles from sagging you may have had, and makes people think that you were always this slender. This particular form of lift will target the torso, thighs, and buttocks. 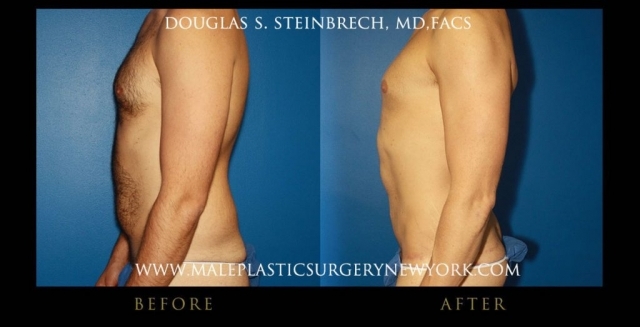 It also uses Dr. Steinbrech’s unique Body Banking approach to help accentuate your features in a flattering yet natural way, using your own body fat as a filler. 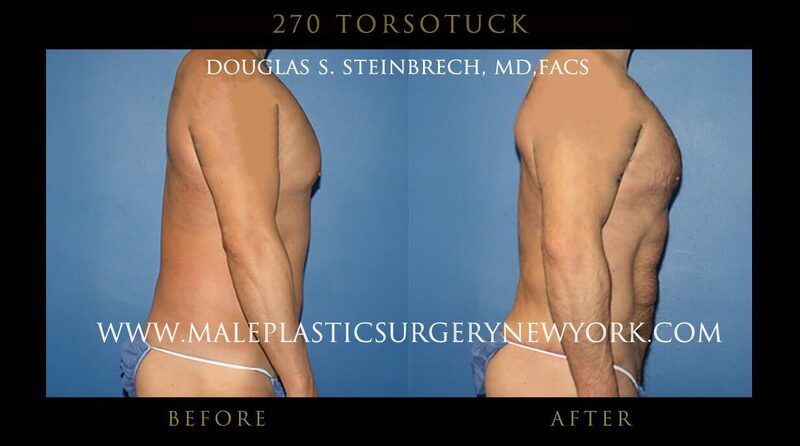 How is the 270 Torso Tuck™ Lift Performed? 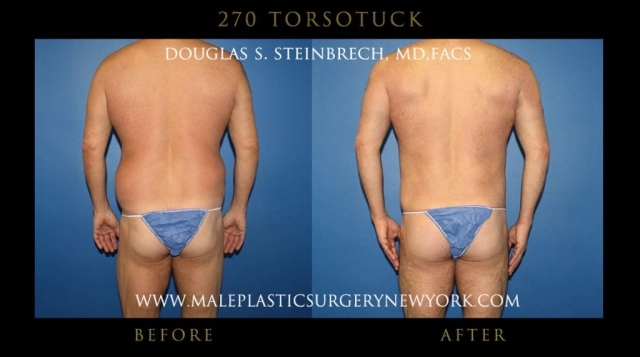 Before you can have the lift done, Dr. Steinbrech will sit down with you to determine whether you are a good candidate for a 270 Torso Tuck™. He will ask you about your goals, your problem areas, and then come up with a surgery plan that is specially tailored to your needs. 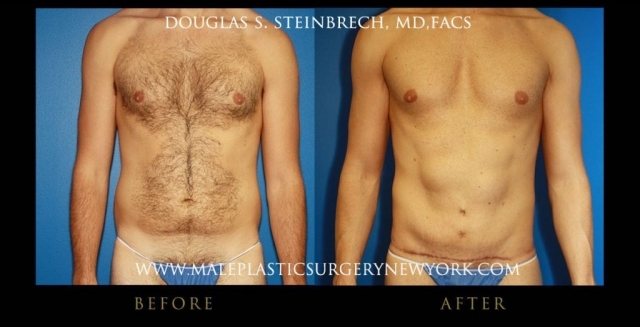 The consultation will help the doctor determine where the excess skin will be trimmed from, where the incisions will be made, and what will be the correct course of action for your recovery. 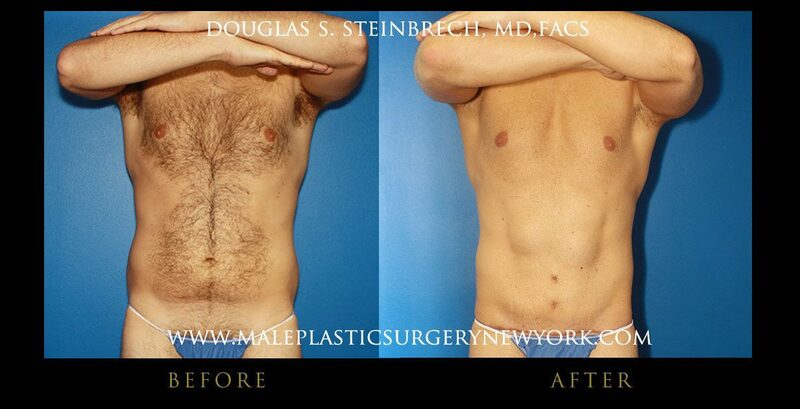 Once everything is cleared, you will make an appointment for surgery. 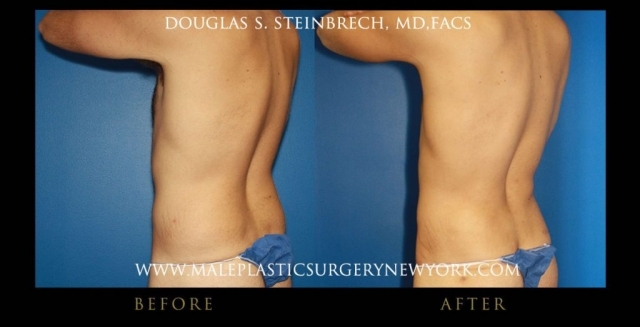 During the procedure, Dr. Steinbrech will typically make incisions near the buttocks, inner thighs, and near the bottom of the stomach. 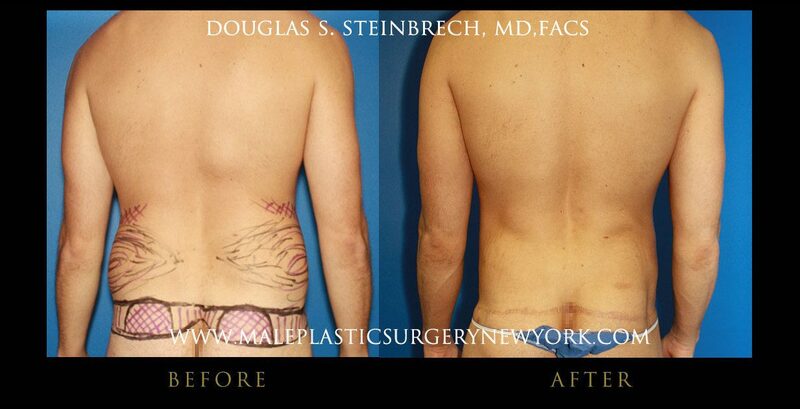 Excess skin is removed and made to stretch taut over your body. 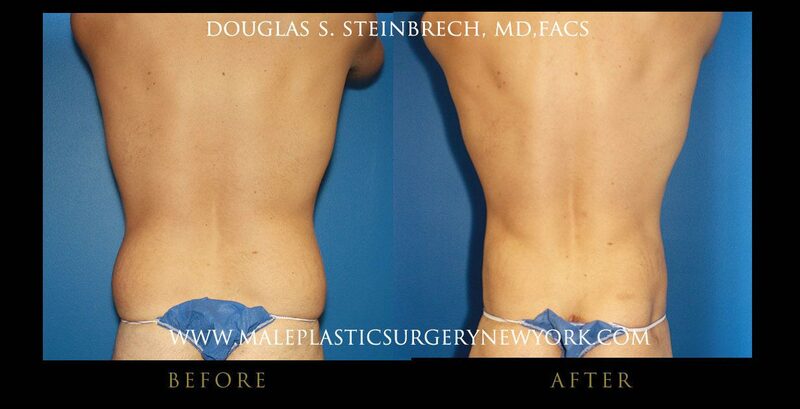 The procedure isn’t just removing excess fat; it’s also repositioning remaining fat for a more attractive appearance. If you have excess fat, this will be the time in which Dr. Steinbrech will suction it out, clean it, and then transfer it to a part of your body that will help enhance your natural physique. Once everything has been arranged, the incisions are closed via sutures. This procedure is typically done under general anesthesia. Recovery depends heavily on how intense the procedure is, as well as your own health. Regardless of your health, you should expect moderate pain and bruising to occur during the first week of your procedure recovery time. 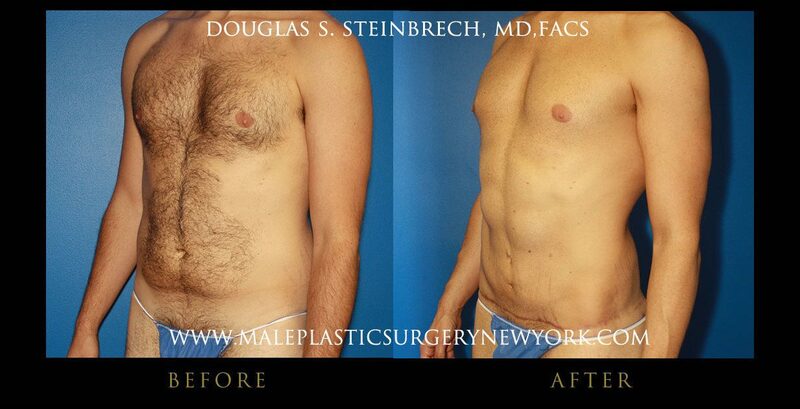 This is definitely a more “plan ahead” type of surgery. Downtime typically ranges from 10 to 14 days, with most men returning to office work within a week and a half. Most men can resume workouts within a month, with regular activities being slowly introduced after. All patients will be given compression garments to reduce swelling and assist healing. They also will be given pain management medication to help them cope with the pain. 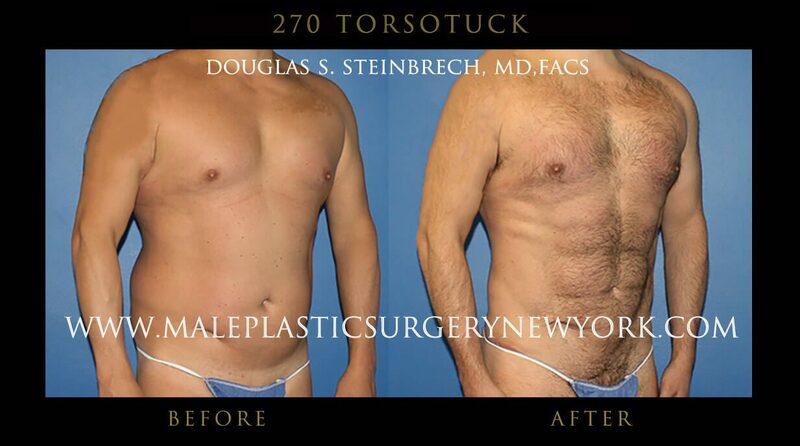 Is a 270 Torso Tuck™ Right For You? If you have overcome the obstacles of weight loss and are finally ready to enjoy the full fruits of your labor, you need to get rid of that excess skin and add a little muscle tone to your body. Of course, you can’t trust just anyone with your appearance. Dr. Steinbrech is the surgeon who invented the270 Torso Tuck™, so if you’re ready to work with the best, it’s time to give him a call at (646) 480-7750 or click here to schedule a consultation.